It's time to go on an adventure to the great outdoors! 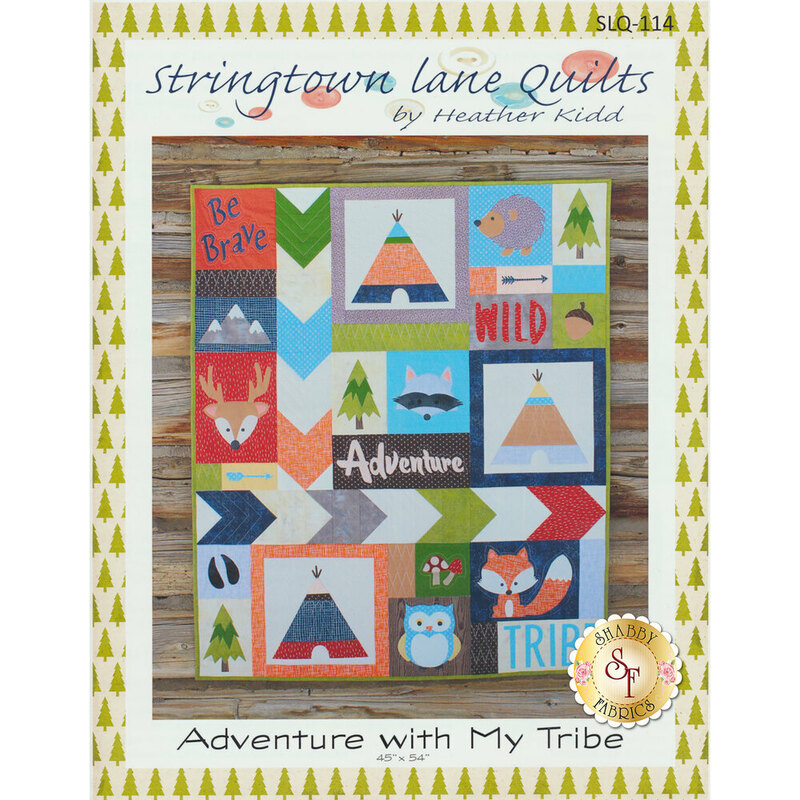 A friendly fox, wise owl, playful deer and more are all ready to join your little one in the Adventure With My Tribe quilt from Stringtown Lane Quilts! 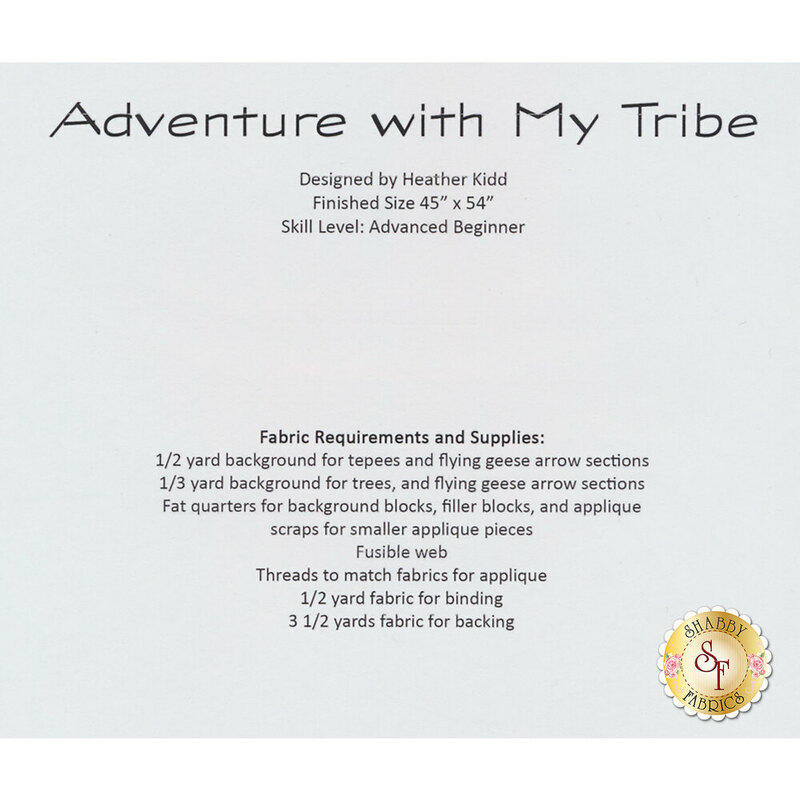 This quilt measures approximately 45" x 54", and features applique and is fat quarter friendly.